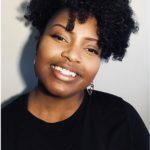 Kyndall Cunningham is freelance writer and journalism student based in Baltimore. Her writing focuses on pop culture - specifically, music, film and television - and its intersection with politics, identity and representation. Her official website is currently under construction, but feel free to follow her on Twitter @Kyndallrene.